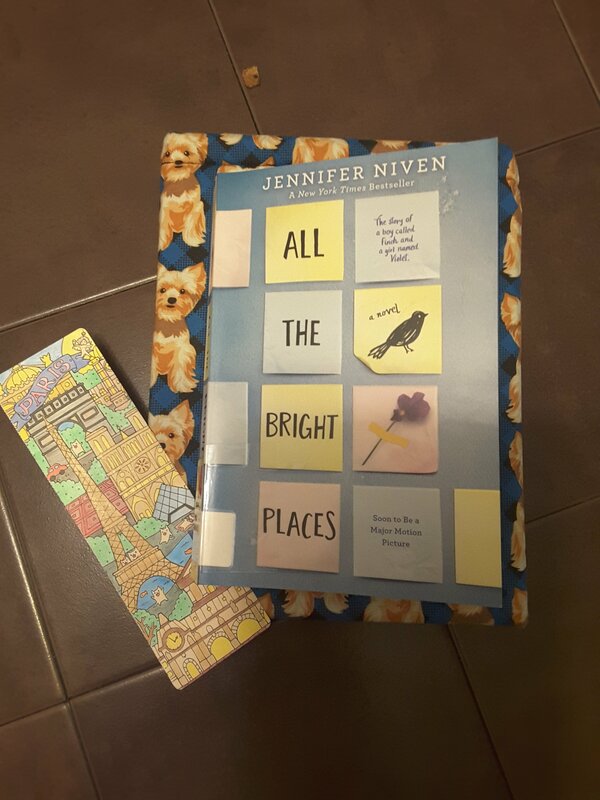 I checked out All the Bright Places by Jennifer Niven from the local library to read for a Bookclub. All opinions are my own…….🌟🌟🌟🌟Theodore Finch is the class clown, the different one, the odd ball out in his small town in Indiana. Violet Marky is the popular cheerleader, socialite in the same small town. One day on the ledge of a bell tower 6 stories high they discover just how alike they are. And as Finch saves Violet, he in a way, finds a way to save himself. They embark on a Geography project and begin to overcome fears and weaknesses together. They become best friends and later in love with one another. Then through a series of events Finch ends up in a fight and expelled from school leaving Violet with an unfinished Geography project and feeling lonely at school. Then over a period of time Finch begins to retreat taking up less and less space and less and less time from everyone else. Then is just gone. Violet feels lost, unprepared, hopeless. What happened? Could she find him and fix him? Was is it something she did? Discussions with her parents, his parents, and Finch’s counseler leads Violet in the direction she needs most. Review also posted on Instagram @jasonnstacie, Library Thing, and Goodreads/StacieBoren.